Hey there! Thanks for dropping by Kat Falls! Take a look around and grab the RSS feed to stay updated. See you around! 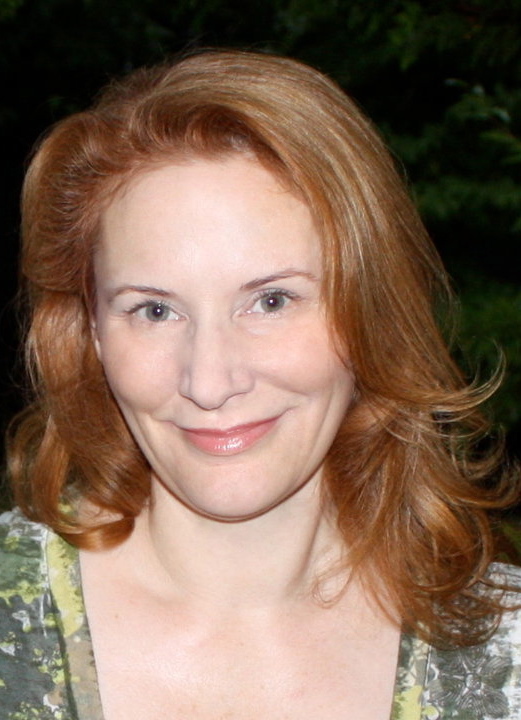 Novelist Kat Falls writes science fiction thrillers for young people. Her young adult novel, Inhuman, is a dystopian romance set after the outbreak of a mutagenic virus. Inhuman received glowing reviews from Publishers Weekly, School Library Journal, VOYA, a starred review from Kirkus, and made the Tome It List for “clean” teen reads. The sequel, Undaunted, comes out on March 26, 2019. Kat frequently teaches writing workshops and speaks at schools and libraries around the U.S., as well as writers’ conferences. She loves to share her joy of books and writing with audiences of all ages. Kat grew up in Silver Spring, Maryland, holds a BS in communications from Rensselaer Polytechnic Institute and an MFA in screenwriting from Northwestern University, where she now teaches. She lives in Evanston, Illinois with her husband, theater director Robert Falls, two dogs, and a very old cat. Her three children are now young adults, though still very influential in her creative process. When Kat Falls first imagined her best-selling middle-grade novel, “Dark Life,” she was a busy stay-at-home mom of three, dashing from activity to activity and setting a 15-minute timer to ensure she got some writing in each day. After taking about a decade off from writing full time, Falls dipped her toes back in the literary waters in 2007 by assigning herself journal exercises. On the day the idea for “Dark Life” surfaced, her drill was to combine two of her oldest son’s interests — pioneers and the ocean — into one science fiction story. The manuscript for “Dark Life,” about a boy who protects his underwater homestead, was purchased by Scholastic in just days. Since then, Falls’ writing has grown with her children, who also include Vivienne, 14; and Connor, 12. “Inhuman,” the first in a planned trilogy, takes place in the near future after a virus turns a portion of the population into “manimals,” half-human, half-animal hybrids who eventually lose their minds and turn feral. To protect the uninfected, a giant wall was erected down the center of the country; humans live in the West, while the East — aka the Savage Zone — is populated with “manimals.” Crossing the wall is forbidden, but when 16-year-old Lane discovers her father’s life depends on retrieving artifacts from the East, she has no choice but to navigate her way through the Savage Zone. As with most of Falls’ work, “Inhuman” is action-packed. Falls, an Evanston resident who holds an MFA in screenwriting from Northwestern University, writes in a visual fashion, propelling the story forward through vivid descriptions of Lane’s risky encounters. Fellow writer M. Molly Backes said she admires Falls’ cinematic way of writing. Backes, author of “The Princesses of Iowa,” is in a writing group with Falls. “Her stories have these really great, strong visuals and strong plots and great action scenes and snappy dialogue, basically everything you would expect from a really great action movie,” Backes said. While action is a mark of Falls’ work, it’s never at the expense of deep and relatable characters, said Nicholas Eliopulos, Falls’ editor at Scholastic. “She never loses sight of the characters at the heart of those plots and the characters who are experiencing that action,” he said. A humanities-focused graduate of Rensselaer Polytechnic Institute, Falls credits the classes she took there as well as growing up with a scientist dad for turning her into a science geek. She prides herself on grounding her stories in scientific reality. While the idea of humans mutating into animals is far-fetched, the process of transferring DNA between bacterium is widely studied, and diseases have long been known to cause physical mutations. “When I come up with a science fiction premise, I have to have it based somewhat on what is possible as opposed to fantasy, which is impossible,” Falls said. Falls is about halfway through writing the sequel to “Inhuman.” She still regularly uses her kids to gauge her writing. It may be the only time whining is acceptable in the Falls household. Just when you think young adult novels set in a dystopian world and featuring a feisty young heroine have run their course, along comes another to blow that theory out of the water. Kat Falls’ “Inhuman” is one such novel. A self-professed “sci-fi geek” Falls, a Chicago area-based writer, already had written two middle-grade books — “Dark Life” and “Rip Tide” — when her agent suggested she pen a young adult novel so her readers could grow up with her. She immediately knew it would be set in the future (the previous two were set in a colony on the ocean floor) but it was an article about the swine flu that really got her imagination working on overdrive. Thoughts and ideas began to go viral in her imagination, and another dystopian world was born. The first of what promises to be an intriguing trilogy, “Inhuman” is set in an America ravaged by a virus that mutates humans into “manimals.” The area east of the Mississippi River is known as the Feral Zone, where those infected are quarantined; west of the river behind a great black wall live those not infected. In this safe world, Falls has placed 16-year-old Delaney Park McEvoy (Lane to her friends), who is about to begin one unimaginable adventure. She is stunned to learn her father is a Fetch — someone who illegally goes to the Feral Zone to retrieve items left behind (such as great art in a now-abandoned Art Institute of Chicago). Discovering he now is in peril on the wrong side of the wall where all sorts of manimals threaten, she sets out to find him. Falls feels teenage girls are “hungry for stories about teenage girls.” She wanted to create a character who was leading a life that a lot of girls could relate to. In the book, Lane’s father has pushed her to take survival and self-defense classes but she’s never taken it very seriously; she’s lived in a safe, guarded environment all her life. Falls lives in Evanston with husband Robert Falls, artistic director of the Goodman Theatre, and their three children who range in age from 12 to 17 and serve as her test audience as she writes. The Book “Rip Tide,” Evanstonian Kat Falls’ new book released just this past August, is the sequel to the Evanston author’s 2010 “Dark Life.” Both books in the middle-grade (generally considered ages 9-12) series are set in a vastly changed world of the future; both books are exciting and filled with action and zippy dialogue from cover to cover. In “Dark Life,” Ty, the 15-year-old male protagonist, his parents and little sister, Zoe (based on Ms. Falls’ daughter, the author says), are one among a number of deep-sea farming families who also live in the sea full-time. A considerable portion of the world’s land mass, especially that of North America, is now deep under water. Buildings, vehicles and other trappings of life “before” now lie below, pieces of it occasionally swept by a current into inhabited areas of ocean. What land is left is overcrowded, a fact that has encouraged the bravest to become sub-sea pioneers. This is possible because of “Liquigen,” a liquid form of oxygen that enables a person to breathe underwater. Scientists and engineers have also developed scooters and subs for maneuvering under water, as well as architecture that makes undersea life homey and comfortable. Those on land need the food produced by Ty and communities like his in order to live, but the Topsider government treats them terribly, appointing for them “representation” that has no interest in their wellbeing. They have no power or say in their government. Further, there is little interaction or understanding between those who live on land and those who live in the sea, leaving everyone misinformed. While some Topsiders look down on Ty’s people and sneeringly call them “dark life,” (organisms that thrive in the absence of light), others are curious about them. This is one factor that prompts Ty to help Gemma, a Topsider girl the same age as he, in the first book searching desperately for her missing older brother. The two teenagers run up against the terrifying Seablite Gang, outlaws who have previously attacked and looted only government vessels. The government has been helpless to stop the gang, which has moved on now to the destruction of the farm of one of Ty’s neighbors. How the teenagers attempt to stop the gang’s depredations is sure to engage young readers and keep them interested till the end of the book. The existence – or not – of “dark gifts” in some of those who live under the physical pressure of tons of seawater and the revelation of the special relationship between Gemma and one of the outlaws just piles on the excitement. “Rip Tide” begins not long after the events of “Dark Life.” By the end of the first paragraph on page 1, Ty and Gemma are already heading into “the biggest trash vortex in the Atlantic,” where “a piece of history could broadside [them] at any time.” At the end of the first chapter, Ty is in the middle of the book’s first brush with danger; by the end of the second, he has discovered an engineered catastrophe. Before long, Ty’s parents have been kidnapped and he and Gemma seem to be the only ones working to find them. Ms. Falls’ training and experience as a screenwriter are ubiquitous throughout both books. Not only do events critical to the development of plot and character relationships march forward, quickstep, but also the characters act like real people. Dialogue, for example, is laid out one or two utterances at a time, interspersed with movements and gestures that real people make. What Ty and Gemma, Zoe, their parents, acquaintances and foes say and do comes off as real. The fact that Ty is the protagonist and not Gemma, though her story is as compelling, gives the reader the knowledge of what makes things tick in this world for one to act accordingly. Ty needs to explain only what his friend – and the reader – needs to know. Were Gemma, a foreigner to the undersea life, the main character, the amount of material she would not know and explanation necessary to involve her, would be too great – and finally too slow, for the young reader. New vocabulary exists for new things in the world of these books: “surfs” or “surfeit population” and “townships” – whole communities that dwell on single, huge subsea vessels – for example. The kids’ futuristic slang sounds realistic: “Glacial!” exclaims one teenager. The kids themselves feel like real kids. It is easy to see how the books appeal so much to the age group for which they are written. She says she “always knew [she] wanted to go to New York” and get involved in the independent filmmaking scene there. But first she went to college; her first year at Skidmore and the following three at Rensselaer Polytechnic Institute in upstate Troy, N.Y., where her father was teaching by this time. At sciences-based Rensselaer, Ms. Falls earned not a B.A. degree, but a B.S. – bachelor of sciences. Though her major was Communications, she “took many science classes.” After graduation, Ms. Falls went to New York City. There, she studied at The New School and got an M.A. in media studies while working full-time. After that she came to Evanston to do graduate studies in screenwriting at Northwestern University. She now teaches the craft at Northwestern on a part-time basis. Between her father’s science studies infusing the home, her own studies at college, her taste for reading speculative fiction and her self-confessed love of research, Ms. Falls’ foundation for writing science fiction was established. The time came when, caring for the family and daily demands on time, she “felt bad about not writing.” She “was doing writing exercises and journaling” to keep a hand in, and “tried an exercise in which [she] tried to come up with a story premise that would interest [her] son,” 11 at that time. She liked the idea so much, she decided to try writing it as a middle-grade novel. “Rip Tide” was published at the end of this past summer, in some ways a harder task, says Ms. Falls, than her first book: It was under contract already, with a deadline. It has been receiving excited reviews from young people who loved the first book – online at Goodreads and KidsReads. “Dark Life” has won several distinctions and awards, among them a Juvenile Literary Award by The Friends of American Writers. Disney and Gotham Group are developing it for film production; Robert Zemeckis is to be the director. Kat Falls is already at work on her next book, also under contract with Scholastic. It is the first of a young adult trilogy (Publisher’s Weekly calls it a “dystopian romance”). This first novel is titled “Inhuman” and is scheduled for release in September 2013. No doubt Ms. Falls’ son Declan, and probably daughter Vivienne, too, will soon be immersed in it, ignoring text messages till they get to the end. The Golden Sower Award 2014 YA nominee list | A Semester Tour of Adolescent Lit.